Data Science is an emerging field encapsulating interdisciplinary activities used to create data-centric products, applications or programs that address specific scientific, socio-political, or business questions. Data Science is also commonly referred to as big data analytics, predictive analytics, advanced analytics, etc. It is making deep inroads in industry, government, health, and journalism, and many other disciplines. Offered by the nationally ranked Department of Computer Science, the University of Maryland’s Graduate Certificate in Professional Studies in Data Science provides a broad introduction to the field of Data Science, including how to extract and clean data, how to store and manage large volumes of data, and how to analyze such data and extract insights from it. Data Science requires the ability to integrate data, operate on data at scale, analyze data, make predictions, find patterns, and form and test hypothesis. It incorporates practices from a variety of fields in computer science, chiefly Machine Learning, Statistics, Databases, and Visualization. 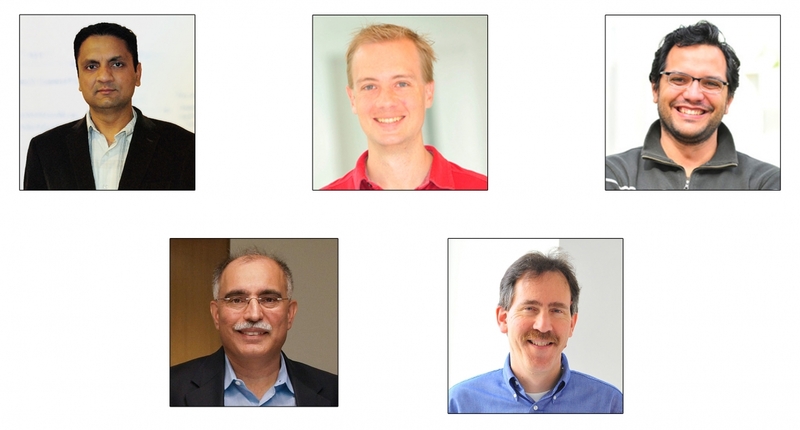 This 12-credit certificate evening program gives students the opportunity to learn the foundations of data science from our expert faculty, including computer science professors Amol Deshpande, Hal Daumé III, Héctor Corrada Bravo, Samir Khuller, and Alan Sussman. They will teach courses in Machine Learning, Statistics, Databases, and Visualization. The Data Science program is a 12-credit program for working professionals. The courses will be offered in the evenings at the College Park campus, during the fall and spring semesters. The program may be completed in one year by taking two 3-credit courses each semester. Interested students will have the opportunity to transfer credits from this graduate certificate program to the M.S. in computer science offered by the Department. Founded in 1856, University of Maryland, College Park is the flagship institution in the University System of Maryland. Our 1,250 acre College Park campus is minutes away from Washington, D.C., and the nexus of the nation's legislative, executive, and judicial centers of power. This unique proximity to business and technology leaders, federal departments and agencies, and a myriad of research entities, embassies, think tanks, cultural centers, and non-profit organizations offers unparalleled synergistic opportunities for our faculty and students. The Department of Computer Science at the University of Maryland has been consistently ranked among the top 15 nationally. We have 47 full time tenured and tenure track faculty in a wide variety of research areas, and over 200 doctoral students drawn from top undergraduate programs internationally.